The application Deadline for this year’s TED Fellowship Program is September 20th, 2015. CLICK HERE to apply today! 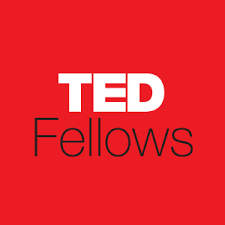 WHAT is the TED Fellowship Program? At TEDGlobal 2007 in Arusha, Tanzania, 100 Fellows from across Africa joined a first-of-its-kind gathering that brought together the “Cheetah” generation. In Arusha, many new friendships, collaborations, companies, investments, websites and NGOs were born. After the spectacular success of the first group of Fellows, we created a permanent platform — the TED Fellows program — to feed the passion of other amazing paradigm-shifters and foster the collaborative spirit. The TED Fellowship offers access to an exclusive private network of change-makers, unique skills-building workshops and the mentorship of world-renowned experts. TED Fellows also present their very own TED Talks at the conferences – an unprecedented opportunity to spread their great ideas. After the conference, TED Fellows remain connected to the myriad resources of the TED community. Apart from their impressive accomplishment, TED Fellows have two important traits: fine character and a good heart. If you think you have all of the features listed above, then you should apply! CLICK HERE to apply. Remember the Deadline for the 2016 application is September 20th 2015. HOW does the TED Fellowship Program works? Once the TED Fellowship year has passed, we choose 10 from the pool of existing Fellows for the two-year TED Senior Fellows program, bringing them to four additional conferences (for a total of 5). The Deadline for this year’s application is September 20th, 2015. CLICK HERE to apply now! For more information on the 2016 TED Fellowship Application, CLICK HERE.